Who Pays For A Realtor? 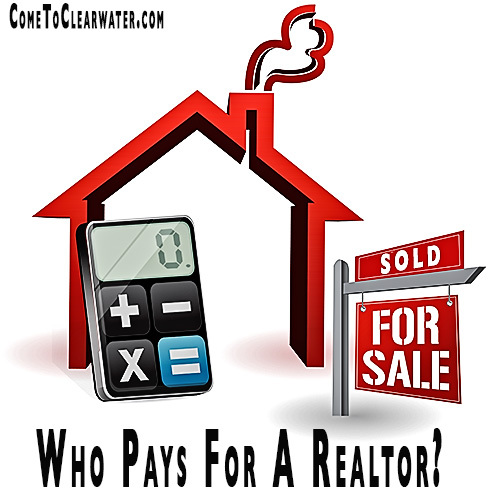 Who pays the realtor is a question you may be asking if you are thinking about buying a home for the first time. Realtor’s make a commission based on what a home sells for, and that is usually thousands of dollars. So who pays? Relax, first time buyer, most of the time the seller pays. Real estate commissions are a percentage of the selling price of a home. That percentage is controlled by the listing contract that is signed between the seller and the Realtor. As a buyer, that should be your first clue as to who is responsible for payment. Generally, you, as buyer, aren’t a party to that contract, so you can’t be compelled to pay for something under it. So what if you hire a Realtor to work just for you to find you homes? Well, technically the seller pays them as well. What happens in that case is the commission is split between the listing agent and the buyer’s agent. Generally this is what happens, but remember that the seller is not obligated to pay the listing broker for more than the listing side or portion of the commission. In most cases, the split is done with no problems. If you have worries about it, then talk with your buyer’s agent. Remember that like any other kind of agreement real estate commissions are negotiable. That doesn’t always mean that another agent will negotiate. So, as you should do with any negotiation, don’t immediately insult the other side by demanding concessions on commissions immediately, or make a big deal about the percentage. Remember, again, that you are not a party to the contract that sets that percentage. If you think it will affect your ability to buy, then let your agent handle it.